Achieving the perfect place where your baby’s feet are warm but not too hot is tricky. 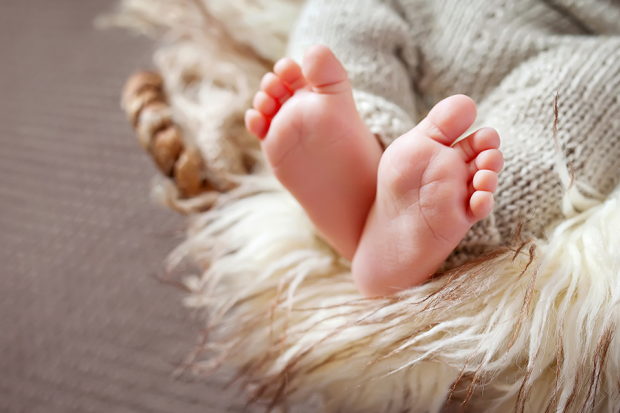 Here are safe ways to keep infant feet warm, both indoors and outdoors. 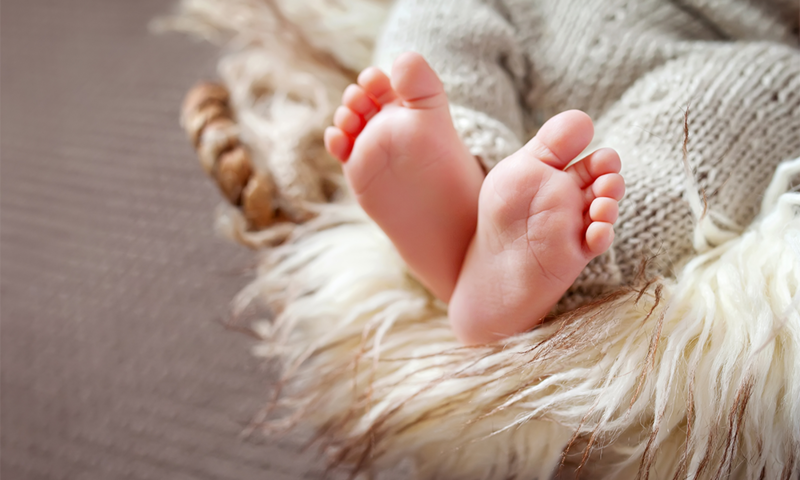 New parents may want to keep the ten tiny toes of their brand new baby comfortable throughout the cold autumn and winter months, but achieving the perfect temperature for baby's feet isn’t always simple. Parental care given with the best of intentions can easily lead to an infant’s feet becoming too warm, which can lead to fussiness. Or the feet may become too cold, which can lead to sickness. Or, in rare cases, your baby's foot temperature can increase or drop to such an extreme, it leads to permanent foot disorders, disfiguration and Sudden Infant Death Syndrome (SIDS). Here are a few simple steps to help parents get the temperate of their baby’s feet just right without risking the infant's health. 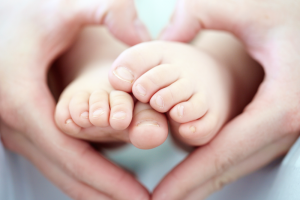 Note: It’s a common misconception that a baby or toddler’s feet naturally feel cold to the touch. Toddler and baby feet should be pink and warm. Are Socks Good Or Bad For Infants and Newborns? Many parents assume that all it takes to protect their baby’s feet in the house is a pair of warm socks that ward off any potential chill. However, podiatrists actually warn that babies and toddlers shouldn’t spend a lot of time in socks. Their tiny feet are soft, pliable and still developing, so it’s essential that infants and toddlers spend a lot of time completely barefoot so their foot muscles are exercised and their feet develop as naturally as possible. Keeping the house at a moderate, comfortable temperate as your child coos, crawls and plays is the best way to ensure their bare feet stay warm. However, if socks must be worn, both cotton and wool mix socks are good options for foot warmth. Just make extra sure that your baby’s socks aren’t too tight, which could lead to a dangerous foot condition called sock-line hyperpigmentation. Sometimes tumble drying socks can make them shrink, so be sure to check the socks’ tightness even after continuous wear to avoid sock-line hyperpigmentation and also to make sure they’re not halting normal foot development. When it comes to bedtime, parents often have the inclination to pile on the blankets during cold nights. However, pediatricians warn that doing so can increase the risk of SIDS. 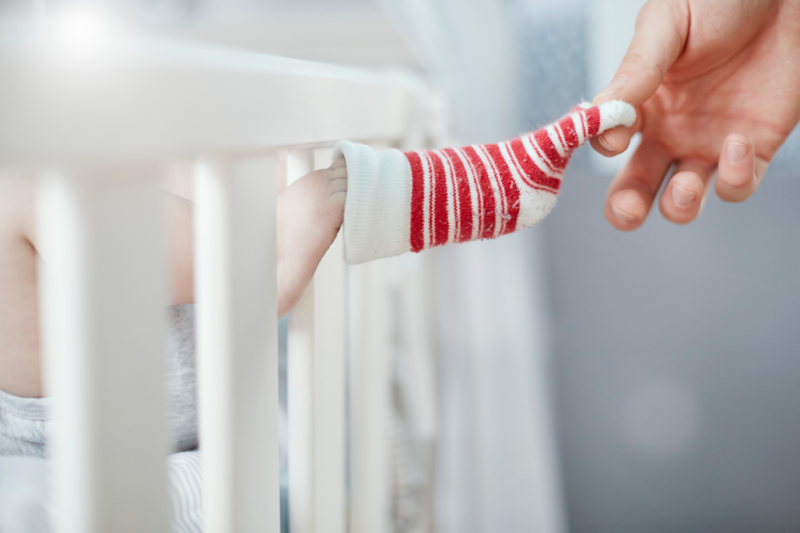 Instead, try using a flannel fitted sheet for your baby’s crib or toddler’s bed, making sure the child has enough room to move his or her feet. Then try to regulate the sleeping room temperature somewhere between 65 and 72 degrees Fahrenheit. As a general rule, the American Academy of Pediatrics recommends that when dressing a baby for day or night, use one more layer than an adult would use in the same environment to be comfortable. Just don’t forget to check the tightness of footed pajamas if they’re used, because they can also impede normal foot development if they are too small or too tight. Taking your child into the blistering cold can be quite challenging, all the way from head to toe. But when it comes to keeping an infant or toddler’s feet protected from chilly weather, there are a few key things to keep in mind. Socks are definitely needed in cold temperatures, with warm, organic materials like wool being the optimum choice. But the same sock rules for indoors apply to the outdoors: Make sure the socks aren’t too tight, which can lead to sock-line hyperpigmentation and affect a small child’s regular foot development. Meanwhile, it can help to keep an extra pair of socks in your bag so you can easily add an extra layer or swap out if your child’s socks become wet. While shoe use should be avoided as much as possible during the first year of a baby’s life to allow for natural foot development, an exception can be made if you plan to spend a lot of time in cold weather. Baby boots and other types of fall and winter footwear can be worn, as long as mom or dad ensures the shoes are the right size and offer plenty of wiggle room for the child’s toes. Kids feet grow quickly, so most experts advise you check baby and toddler’s foot size every 4 to 6 weeks. Additionally, waterproof shoes should be given to toddlers who will be walking in wet environments to ensure their feet don't become saturated, which can lead to a sudden chill, rubbing and blisters, or even frostbite. Make sure the soles are non-slip to help your child avoid falls, trips and spills on wet, slippery ground. If your toddler complains about cold feet, try to encourage him or her to stomp, wiggle and kick their feet to help increase blood circulation and warmth. Unlike adults, babies don’t shiver when they’re cold to generate heat. Instead, they become unnaturally quiet and still. The reason is because their body’s energy begins diverting toward trying to retain heat rather than crying, feeding or any other activity. A baby that is too cold will have hands and feet that feel cold to the touch, and their chest will feel cold, as well. Try warming your baby by holding him or her close, and after body temperature rises, you can add extra layers of clothing appropriate for the conditions. 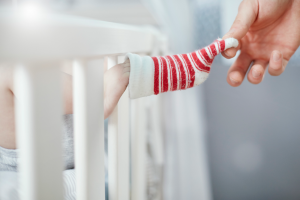 White hands and feet can indicate the first symptoms of frostbite, so quickly get indoors and slowly begin rewarming your baby’s extremities with the touch of your own hands. Don’t rub his or her hands and feet to rewarm them, as that can actually cause more damage if frostbite is indeed setting in. A baby that is dangerously chilled could slip into a state of neonatal cold syndrome, which is characterized by lethargic, floppy behavior as well as hands and feet that feel cold to the touch and are bright pink in appearance. If you baby shows these symptoms, he or she needs urgent medical care and will need to be rewarmed slowly in order to avoid further damage. The most common signs a baby displays if he or she is too hot is fussiness, damp hair, a sweaty back and chest, and red ears. These symptoms may or may not be accompanied by a rapid pulse and fever. If your baby displays these symptoms, remove a layer of clothing and either gently fan the infant or take him or her to a cooler environment. 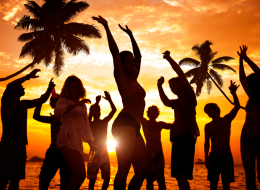 Signs of serious overheating that can quickly develop into heatstroke include a sudden rise in body temperature, a rapid pulse, hot and dry skin, a flushed or pale skin tone, sluggishness, vomiting and signs of dehydration. If you baby displays these symptoms, he or she needs urgent medical care. Remove a layer of clothing, try to encourage consumption of liquids and sponge the infant with lukewarm water.